Residents and property owners, who bought plots of land in Victory Park Estate have been thrown into infelicitous fears following alleged harassment and intimidation by touts. At the height of this milieu is the purported move by the Asset Management Corporation of Nigeria (AMCON) to recover credit facilities granted to the chairman of Grant Properties Limited, Otunba Olajide Awosedo, promoter of the estate. The lily-livered ones among them are being coerced to re-buy their properties at exorbitant prices or forfeit it entirely. 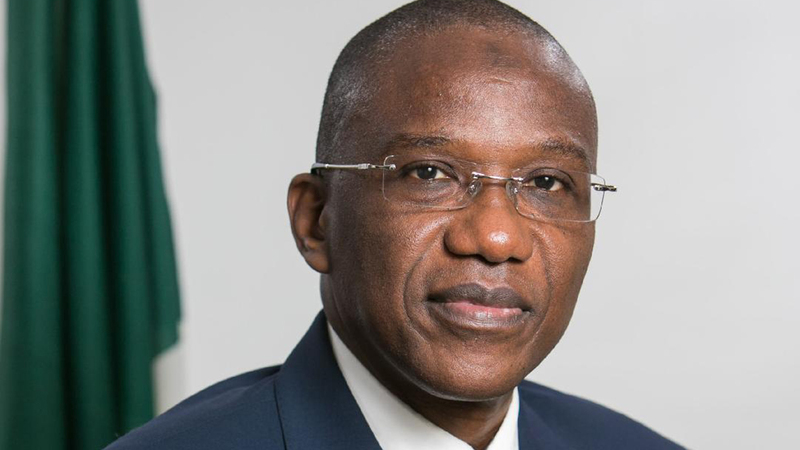 Some of them, who spoke on the condition of anonymity alleged that miscreants and touts acting on the instruction of AMCON were harassing workers on plots where construction was ongoing. The miscreants and touts, they said threatened to killed them unless they pay for their plots of land again. The resultant effect is that people, who have taken mortgage loans and its kinds are still unable to build. Many of these residents have already succumbed to their wily ways and were now desperate to renegotiate payment to revalidate their ownership. One of them alleged that her husband, who bought plots of land from the Awosedos was asked by the touts to pay N30 million to get his plot back because it has been sold. The residents alleged that the touts were working for AMCON following moves to recover the alleged debt. But The Guardian learnt that residents of the gated community in the Osapa axis of Lekki, in Eti-Osa Local council of Lagos State, purchased land legally from Grant Properties/Knight Rook Limited, the only companies authorised to sell plots of land in the Estate. Located behind Femi Okunnu Estate, it is the product of a joint venture between Grant Properties. According to an investor, there were no caveats in the Lands Registry or the Corporate Affairs Commission when they carried out due diligence checks before purchasing land from Grant Properties/Knight Rook Ltd. But it was gathered that trouble started when Grant Properties took loans to develop infrastructure in the estate, but ran into problems over repayment. Consequently, the banks took their facilities to AMCON but still retained Grant Properties/Knight Rook Limited as Selling Agents through a Memorandum Of Understanding (MOU). On September 29, 2017, after the negotiations broke down, the asset managers served residents in the Estate with a letter, demanding that they submit their title documents for verification. The aggrieved residents, who have earlier sent a petition to AMCON, are seeking for urgent government intervention to safeguard their investments as neither the conflicted sold property, housing what is now Cadogan Estate, nor its residents are being disturbed by AMCON. All the efforts by The Guardian to get AMCON comment did not materialized as its spokesman, Jude Nwazor, who promised to return phone calls put across his number failed to do so. But a source, who claimed knowledge of the issue said in 2002, the Lagos State government under the private developers’ scheme allocated 46 hectares of land to Knight Rook Limited. According to the source, the company was unable to pay for the land which made the state to demand for a bank guarantee to cover the payment. 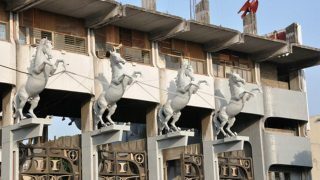 Grant Properties, which was a shareholder of Knight Rook Limited before transferring its shares to the four banks led by Sterling Bank in 2006, approached a consortium of banks in 2003 for the Bank Guarantee. The four banks, namely Sterling Bank, WEMA Bank, Unity Bank and Skye Bank issued the guarantee in favor of Lagos State Government for a Site and Services estate Scheme. 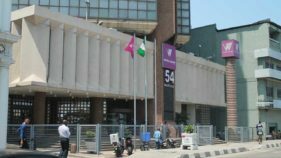 Grant Properties allegedly failed to make payment on the due date and Lagos State claimed the due funds on the Bank Guarantee from the four Banks. Since the property was in the name of a company called Knight Rook Limited and the banks fully paid for the Land. Therefore in 2006 the bank foreclosed and all the shares of Knight Rook Limited were transferred to the four banks and the Banks appointed directors to Knight Rook Limited which meant that the banks fully owned Knight Rook. The Victory Park Estate debt under reference arose due to this failed obligation to Lagos State Government. The corporation bought the liability for N5.1 billion which was not enough to cover the N10 billion debt sum which meant that the Banks lost another N5 billion on the debts.